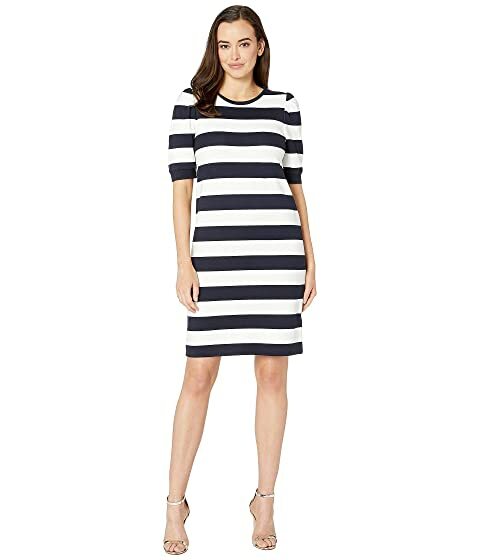 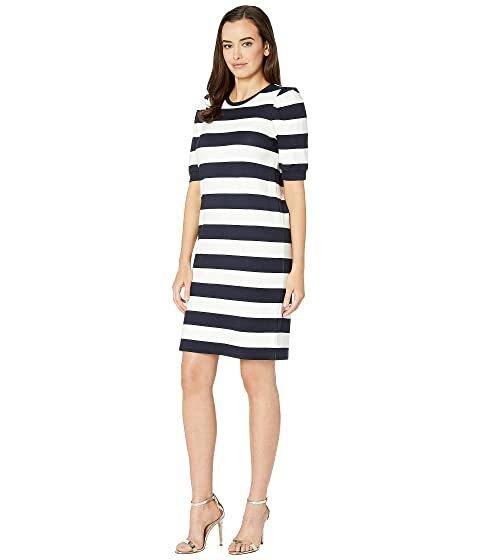 Craft a flawless look with this LAUREN Ralph Lauren® Stripe Puff-Sleeve Ponte Dress. 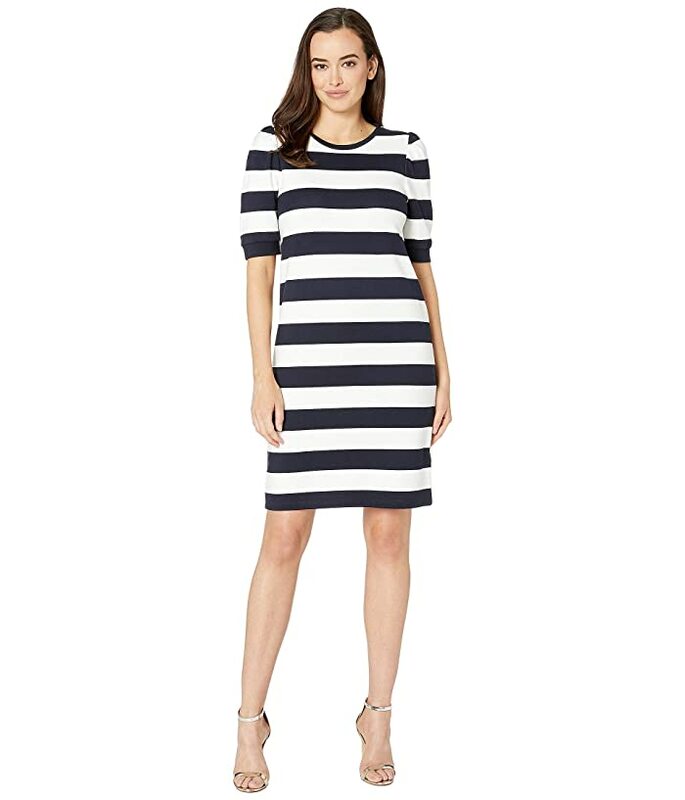 Ponte-knit shift dress features nautical-inspired stripes throughout. 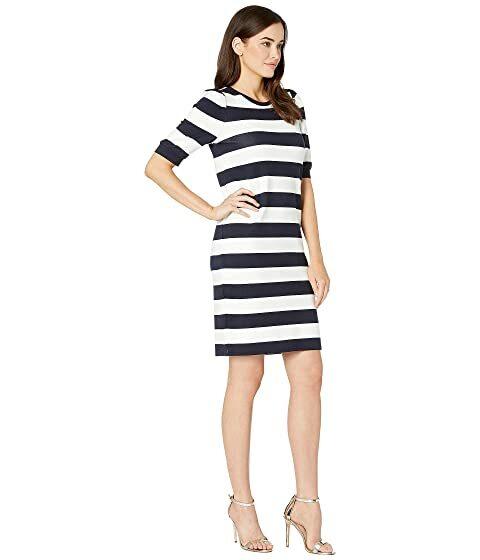 Short puff sleeves flaunt ribbed cuffs. 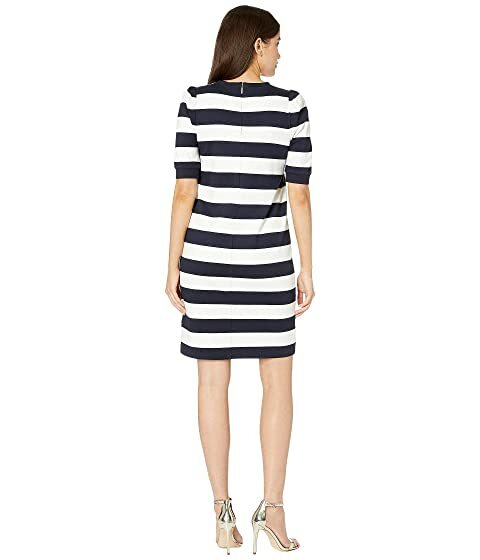 Concealed back zipper with hook-and-bar closure.